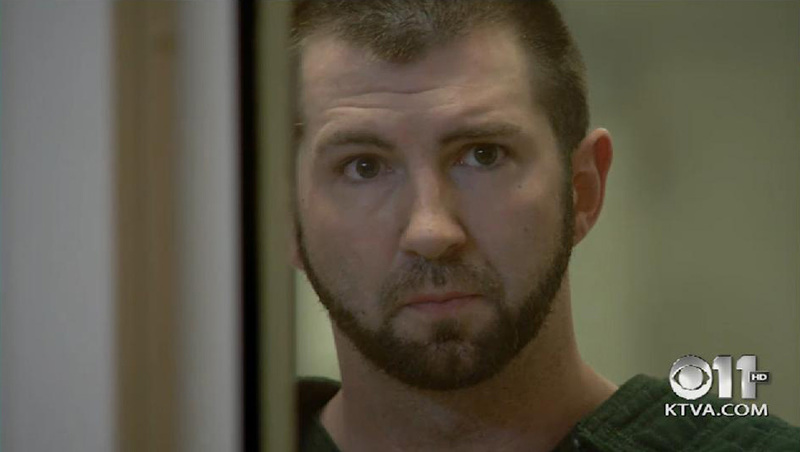 ANCHORAGE, Alaska - A 28-year-old Anchorage man told his brother he had strangled his girlfriend, and when his brother said he intended to call police, the man drove off with the body in the back seat of his car, police said Thursday. A short time later, David Joseph Thomas called police himself and was found with the car and the body of Linda Anne Martz Bower, 19, in the parking lot of a pharmacy. He was charged with first- and second-degree murder and booked into the Anchorage Jail early Thursday morning, said police spokeswoman Anita Shell. Thomas made his first court appearance Thursday at the Anchorage Correctional Complex, reports Alaska Dispatch News. He asked for and was granted a public offender. Police have not announced where Bower died. "That's part of the investigation," Shell said. Thomas lives with his brother in Eagle River, a community within the northern part of the municipality of Anchorage. Police at 10:24 p.m. Wednesday took a call from Thomas' brother, who said Thomas had just told him he had strangled his girlfriend and that the body was in his car. About 15 minutes later, police said, Thomas called and said he was at the Walgreens parking lot in Eagle River. Officers arrested him without resistance and found the body of Bower in the back seat of Thomas' Mercedes sedan. CBS affiliate KTVA reports that, during an interview with the Anchorage Police Department, the suspect told authorities he remembered being in his room and "being over" Bower while his hands were around her throat, but he said he did not recall what happened next. He said he woke up on the floor and his girlfriend as "stiff," according to a sworn affidavit signed by police. The affidavit also states the suspect violated a protective order in Montana in 2006. He has no known convictions in Alaska. Thomas is being held without bail. Bower's mom, who was listening to the arraignment over the phone, said she agreed with the bail decision. "I don't want any bail to be set," she said, according to the station. "I want him to rot in jail." Online court records had no listing for the case Thursday morning. Thomas is due back in court next Tuesday, KTVA reports. Dispatch News reports police continued to gather evidence Thursday at the Walgreens where Thomas surrendered as well as the Eagle River home the suspect shared with his brother. Bower's death is Anchorage's 11th homicide in 2014.